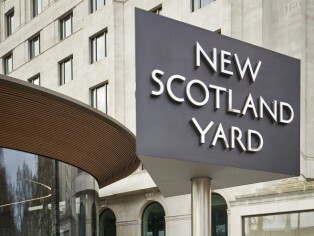 Custom metal ceiling systems from Armstrong World Industries have brought form and function to the award-winning transformation of that bastion of island security – New Scotland Yard. 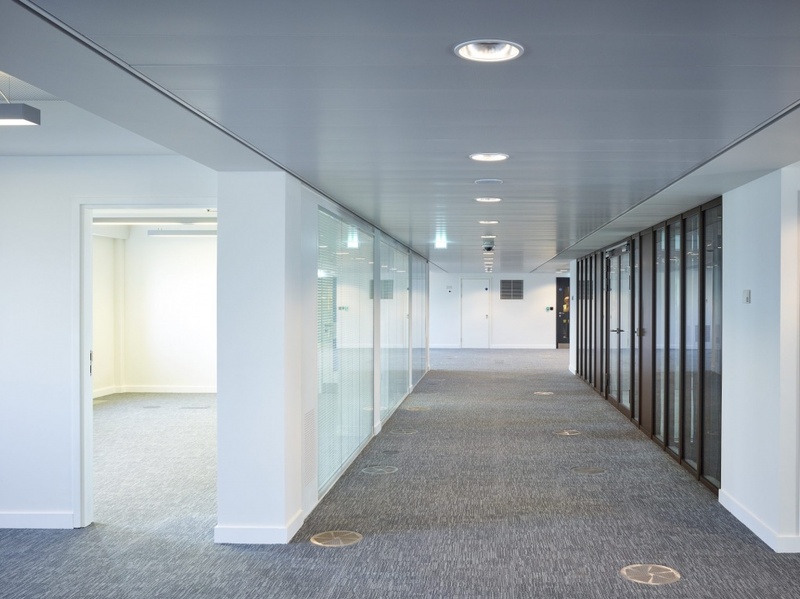 Armstrong’s metal F-H 600 hook-on tiles and swing-down rectangular planks with concealed G-Profile grid and acoustic fleece, and metal T-Clip F tiles with Spring-T grid, were specified by Allford Hall Monaghan Morris architects for the £65 million remodelling, refurbishment and extension of the headquarters of the Metropolitan Police. As well as the circulation spaces, corridors and lift lobbies, Armstrong’s custom micro-perforated metal systems, which perform up to sound absorption Class A, were also used for the ground-floor multi-use and Press Rooms where acoustic absorption and integration of lighting were key design considerations. 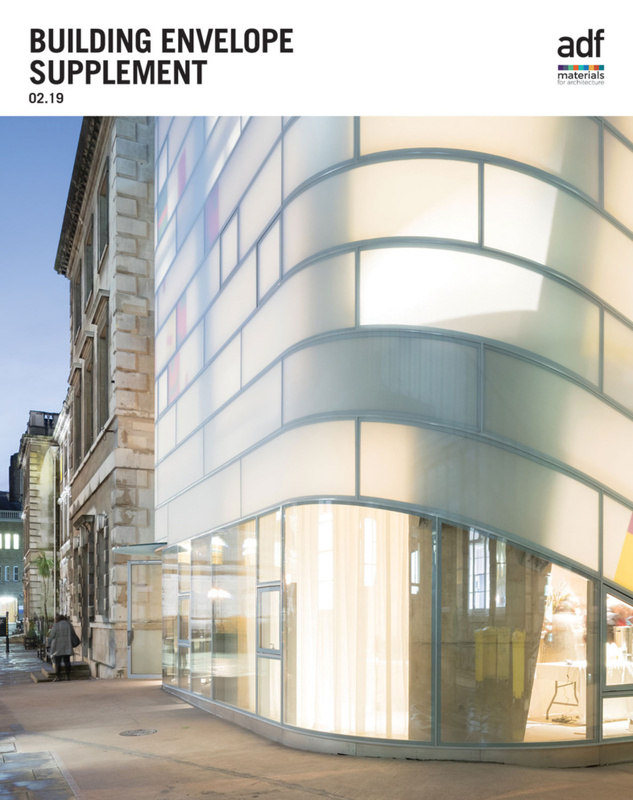 AHMM’s design is a radical remodelling and extension of the 1930s stone-fronted building. 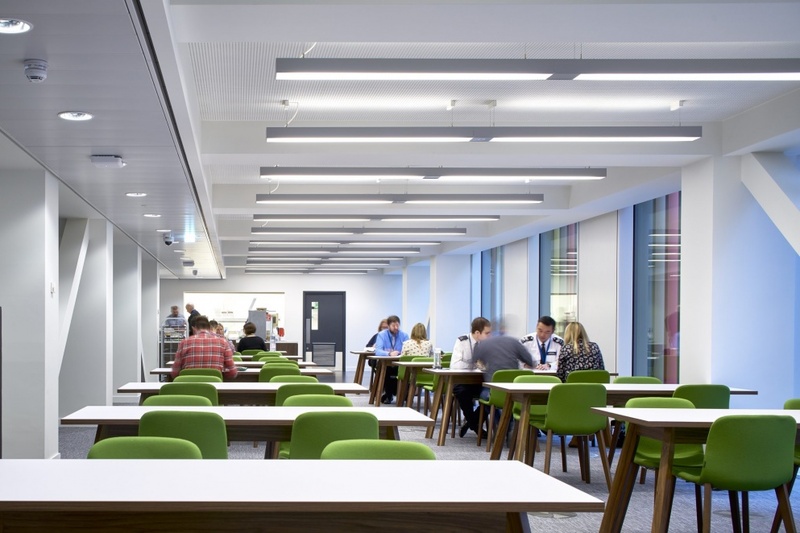 The core objectives of the brief were to create modern, flexible and efficient office environments, extend available floor space and facilitate agile working with more interaction between staff and visitors. 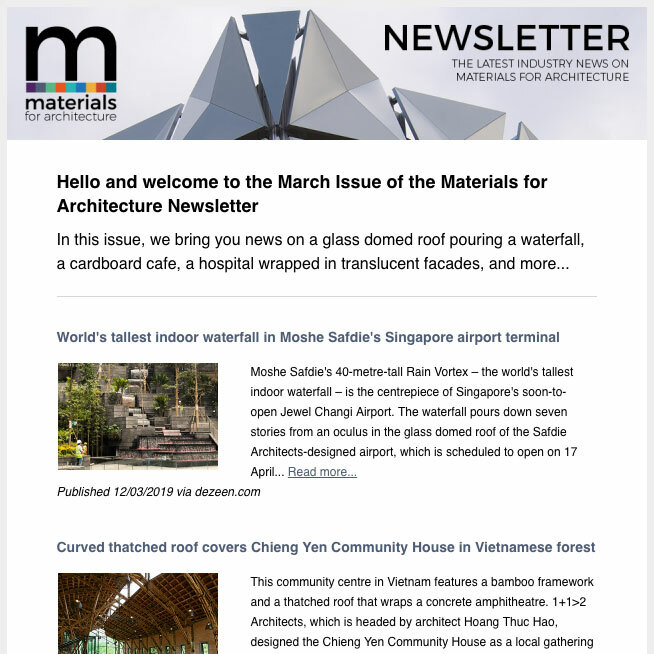 The design has transformed the building with the addition of an elegant curved glass entrance pavilion, a new rooftop pavilion, extension of the floor plates to the west and the reworking of the existing accommodation which has expanded the building’s floor area from 8,691m² to around 12,000m². Inside, AHMM has created a flexible office environment to facilitate collaboration and interaction. The rooftop extension provides multi-use conference space and terraces and is illuminated to give presence at night, symbolising the 24/7 nature of policing the nation’s capital along with creating a civic presence. 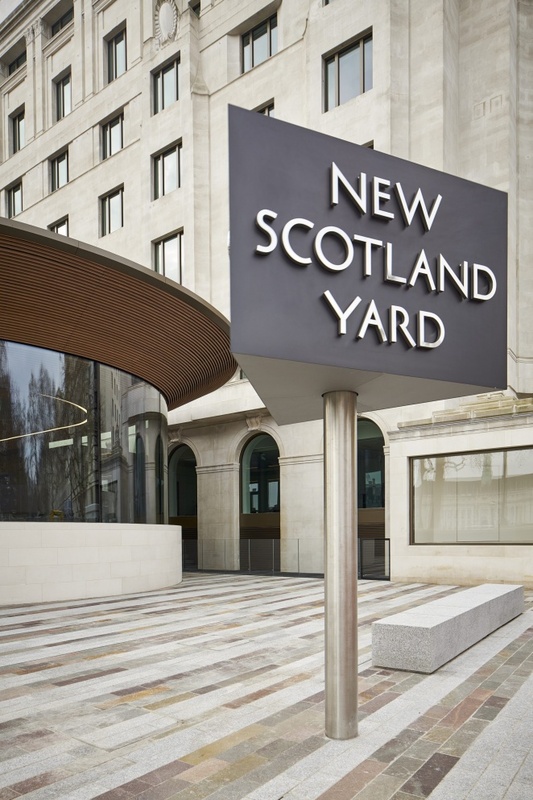 New Scotland Yard has won numerous awards including an AJ Retrofit award for Best office over 10,000m² 2017, Building Magazine’s Project of the Year 2017, and the Prime Minister’s Better Public Building Award 2017, along with a RIBA London Region Award 2017 and RIBA National Award 2017. 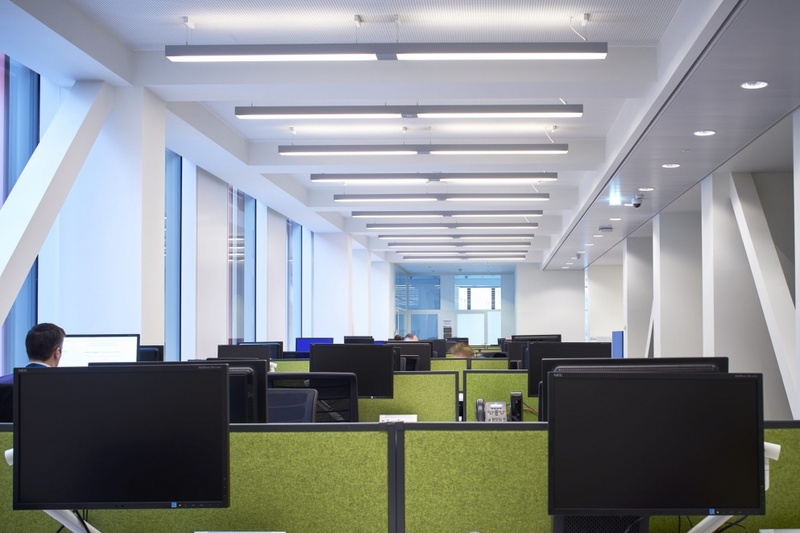 More information is accessible via the Armstrong Ceilings website.